In compliance with the Personal Data Protection Act 2010 and its regulations, this notice is issued to all our valued customers and/or prospective customers. This Notice will inform you of your rights with regards to your personal data that has been and/or will be, collected and processed by us. We have collected and will collect your personal data to be processed by us and/or on your behalf in the course of your present or future dealings with ZALORA Malaysia operated by Jade Eservices Malaysia Sdn Bhd (973005-A) ("we", "our", "us", or "Company"). Your personal data enables us to achieve the Purposes stated herein. The personal data that you will provide may include but not limited to your name, age, identity card number or passport number, address of correspondence, including office address, gender, date of birth, contact information, e-mail address, mobile number, house number, facsimile number, and office number. Compliance to any legal or regulatory requirements relating to the provision of our services/ products and to make disclosure under the requirements of any applicable law, regulation, direction, court order, order, by-law, guideline, circular, code applicable to us or any associated, subsidiary, related companies of our group. The sources that we may obtain your personal data includes but not limited to booking forms, registration forms, online forms, agreements you have signed, name cards or any identity materials that you have distributed voluntarily; and business directory(ies) or listing(s) that you have subscribed to share your information, etc. ZALORA does not sell, share or trade customer's personal information collected online with third parties. Personal information collected online will onl be disclosed within our corporate group for internal use only. 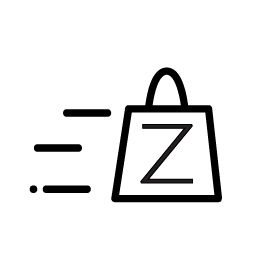 When you register as a user on ZALORA website, we will also use your personal information to send you marketing and/or promotional materials from time to time.You can unsubscribe from marketing information at any time by using the unsubscribe function within the electronic marketing material. Payments that you make through the Site will be processed by our agent ZALORA Limited. You must only submit to us or our Agent or the Site information which is accurate and not misleading and you must keep it up to date and inform us of changes. Any person to whom we are compelled to or required under law or in response to a local or state or federal authority, industry regulator, enforcement agency, statutory authority, court of laws, tribunal, arbitration centre, commission or council or association legally authorized by law. It is obligatory for you to supply your personal data to us in the most accurate manner. result in us becoming unable and/or our selected authorized third parties to send you information by e-mail, telecommunication means (telephone calls and text messages) or via social media concerning related and unrelated products and services offered by us and our affiliated business partners which we consider will or may interest you. You are entitled to request access to your personal data that is processed by us with reasonable notice. request retention of your personal data only as long as necessary for the fulfillment of the Purpose stated in clauses herein. Refuse to comply with your request for access or correction to the personal information. You are entitled to limit our processing of your personal data by expressly withdrawing in full, your consent given previously, in each case, including for direct marketing purposes subject to any applicable legal restrictions, contractual conditions, and within a reasonable amount of time period. You may opt out of receiving any communications from us at any time by clicking on the "unsubscribe link" on the relevant e-mail communications.